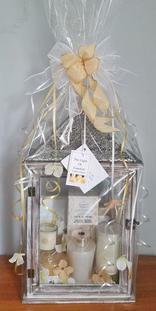 A gift of candles presented in a beautiful lantern makes a terrific "new home" gift! A gift for the bird lover! A fabulous fire pit for the new home - filled with all the fixins' for s'mores! !